What is the Significance of the Church Building? For churches that have been in existence for 100 years or more, buildings may be a given and are rarely given a second thought, except for repairs and additions. For a congregation just starting out and growing, buildings are more than just a location; they are central to mission, identity, and community. On Saturday evening, we celebrated with Centro de Alabanza (Center of Praise) in Philadelphia at the dedication of their building. A much-needed larger space in a Spanish neighborhood, this was made possible by Centro de Alabanza’s fundraising efforts include tamale sales and a car raffle, along with generous support from other Franconia Conference congregations. It was a joyful event of thanksgiving and praise, renewed covenant, and anointing before the Lord. Families brought forward wooden blocks inscribed with their family’s name to construct a building showing community, committing themselves to build on the foundation that “has already been laid, which is Jesus Christ” (I Corinthians 3:9-11). 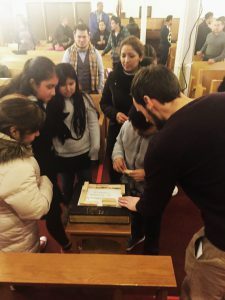 The following day, Sunday, January 29, members from Bethel Mennonite, Nueva Vida Norristown New Life and Christian Community Baptist came together for a time of celebration and remembrance. 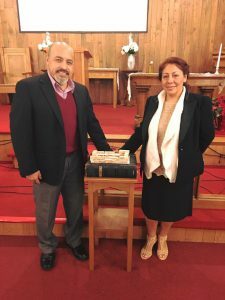 Over 29 years ago, Bethel Mennonite and Nueva Vida Norristown New Life joined together, selling the original Bethel building to Christian Community Baptist. 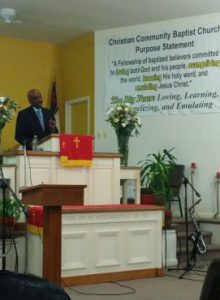 Members of all three congregations celebrated together in a time of remembrance and worship in the same building where former Bethel members had put down their spiritual roots. 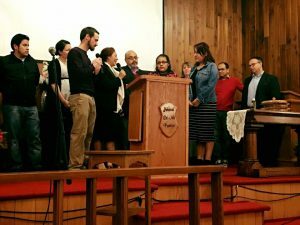 Christian Community Baptist members thanked Nueva Vida Norristown New Life and Franconia Conference for sharing with them a well-cared-for building that was already filled with the Holy Spirit. As the first church in Acts met in homes, today, we see that God’s provision of these physical spaces — church buildings — allow “the church” to worship, be together and do mission for God. They provide space where more of us are able to join in fellowship with one another, and often are used to bless our surrounding communities as our doors are open for other groups to utilize the space. We thank God for these physical spaces that allow us — “the church” — to worship and do the work of God’s Kingdom.